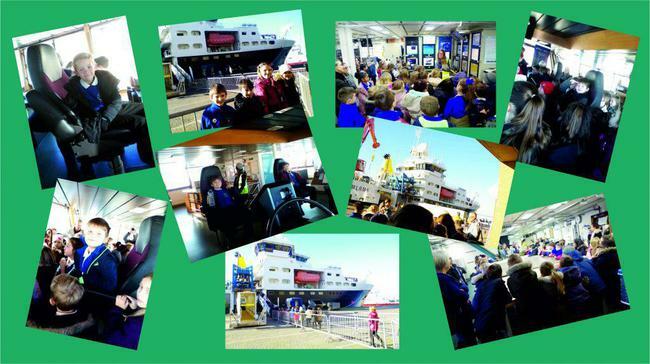 Year 4 went to visit the Royal Research Ship James Cook on Friday 20 January. We learned all about the ship’s missions and the scientific work that they carry out on board. The children really enjoyed meeting the captain and the working scientists on board. They asked lots of questions and learned lots about how the ship runs and what the scientists have learned themselves. “I enjoyed seeing the wet lab, learning about all the things they look at. Also, I liked learning about Boaty McBoatface”. “I enjoyed seeing all of the buttons and learning how things work in the bridge. I also enjoyed seeing Boaty McBoatface”.